Even the best carpet will eventually need to be replaced. You’ll want to start thinking about carpet replacement once you notice stains, matting, or even a bad smell that won’t go away. As a carpet store, we’ve replaced a lot of old flooring with plush carpet. Not only is carpet soft on feet, but it also comes in a wide range of colors to complement your home’s interior design. Keep reading to learn the 6 reasons you should replace old carpet flooring. A flooring store will offer a variety of carpet colors for you to complement your home’s interior design. If you aren’t in love with the color carpet installed by the previous homeowners, now’s your chance to install new carpet. Over time, certain colors drop out of style and can make your home look dated. The great thing about carpet is that it comes in a wide variety of colors. Unlike hardwood flooring, you’re not limited to those colors that appear in nature. In general, you can expect your home carpet to last between 5 and 15 years. How long your carpet lasts will depend on its quality, padding, and whether it was installed in a high traffic area. For example, bedroom carpet tends to last long because it has less foot traffic than hallways and entryways. Are you guilty of moving furniture to cover stains? If your floor has more than a couple noticeable stains, it’s time to consider carpet replacement. When you have carpet flooring, it’s important to treat stains as soon as possible. 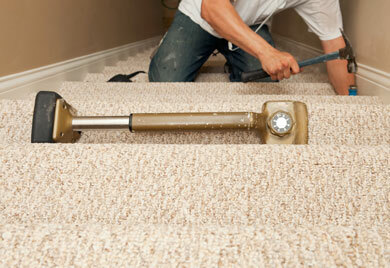 The longer you wait, the more time liquids have to seep into carpet fibers and stain the padding underneath. Over time, heavy furniture and foot traffic can matt down carpet. For example, the legs on your couch may have already made impressions on your living room carpet. While some impressions can be worked out with a carpet rake or professional cleaning, others create permanent dents in your floor. If you were to move all the furniture out, you would notice how your carpet is matted in the paths you and your family walk every day. Does your carpet smell bad? Bad odor could be a sign of mold or pet stains that have seeped beneath carpet. If deep cleaning carpet doesn’t get rid of the smell, you’ll need to contact your local carpet company to ask about replacement. Mold loves to grow in moist dark places, like your basement carpet. If your basement has recently flooded, whether you’ll be able to keep carpet will depend on the extent of water damage. For example, wet padding underneath carpet should be replaced. The type of water that flooded your home will also determine whether carpet is salvageable. Fresh water from a sink is completely different from a sewage backup. A basement flooded with contaminated water will need new carpet installation after it’s been dried out and cleaned. 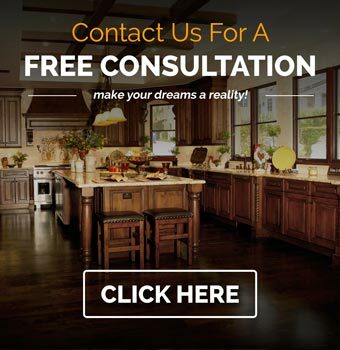 Complete Flooring & Interiors is a Grand Rapids carpet store that has been helping homeowners just like you find the best flooring. We offer everything from carpet squares to wall-to-wall carpet. To schedule your carpet estimate, call (616) 458-4806.